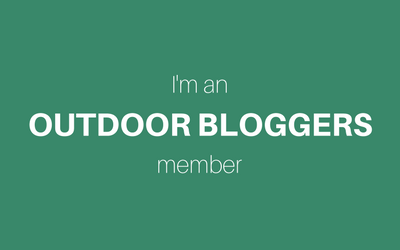 I’m super excited to announce the launch of Outdoor Bloggers, a network for anyone who blogs about any outdoor topic and wants to chat to, and meet, other outdoor bloggers in the UK. The concept for Outdoor Bloggers was born from a conversation between Zoe of Splodz Blogz and I on Twitter. We feel the bloggersphere lacks events and opportunities for like-minded bloggers to meet (virtually and in person), share ideas and, ultimately, enjoy being in the outdoors together. That’s when we decided to create a network so outdoor bloggers have the opportunity to do these things. Zoe and I welcome everyone who enjoys and blogs about any aspect of the outdoors. You could write about nature, sports, activities, sustainability, the environment, farming, outdoor education, scouting; anything really. Whether you are a professional in your field or just a novice, you are welcome. By nature, Zoe and I are ladies who don’t take life too seriously. We believe life is all about seeking and experiencing adventure and ultimately, having fun. And this exactly the ethos we are bringing to Outdoor Bloggers. It doesn’t matter if you don’t have the most expensive outdoor kit, the most popular blog or thousands of Twitter followers- we aren’t about that and neither is Outdoor Bloggers. It’s about everyone who has similar interests having the chance to meet others and enjoy something we all have in common; the outdoors. The Outdoor Bloggers premier event takes place Friday 29th to Sunday 31st may 2015 at Edale in the stunning Peak District. We will enjoy two nights of camping at a local campsite and spend the Saturday hiking to the top of Kinder Scout, the highest gritstone peak in the Peak District.